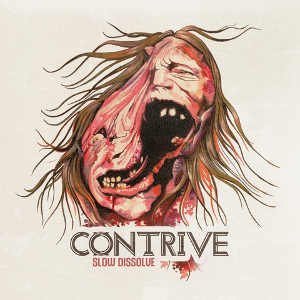 CONTRIVE is a heavy metal band from Melbourne, Australia formed by twin brothers Paul Haug (vocals, guitars) and Andrew Haug (drums) in 1999. They have released two EPs and three studio albums to date. On September 1st, 2017, their third album “Slow Dissolve”, mixing by The Young Bros. Productions has been released. On the latest album, they are offering the intuitive and progressive heavy metal, and a modern production and liberal dose of electronic effects meet some old school metal crunch via surging riffs and punishing drums. Lyrically, the album is a loose concept about the varying options we all now have to communicate with each other but also creating a catch 22 that the digital age is also turning many people away from real connection or creating a fear anxiety of it. 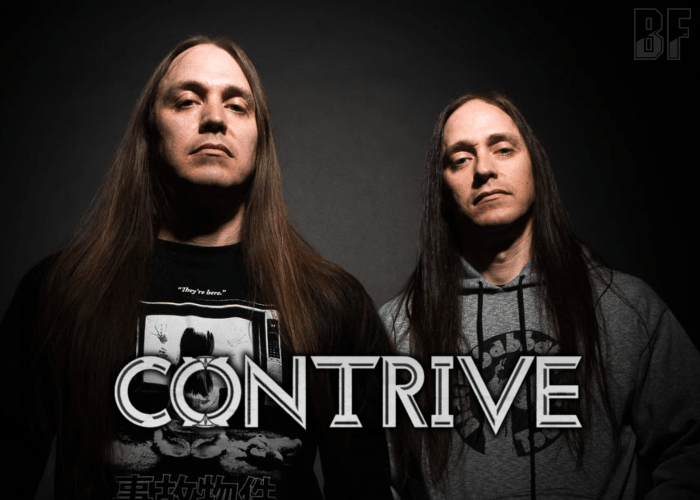 CONTRIVE has shared stages with the likes of Opeth, Stone Sour, Sepultura, Soilwork, Machine Head, Testament, Cavalera Conspiracy, Coroner and more. Internationally they opened for Parkway Drive in Bangkok, Thailand and were the first Australian band to ever play in Vietnam, resulting in them selling out the 800 seat Hard Rock Cafe in Ho Chi Minh City. CONTRIVE has always done it in its way, independently or for each other. With “Slow Dissolve”, the brothers Haug truly are taking on the world together. Literally side by side.